My name is Sally Crum, and I have lost everything trying to prove my son’s (Shane Crum) innocence. I have spent all I have paying for attorneys and other things associated with his legal defense. I have lost my home and I’m living with my daughter (Sherry Crum). We no longer have the means to continue the fight to prove his innocence, without the ability to hire lawyers, experts, or professionals, my son will likely die in prison for a crime that never occurred. So , we created this website to show Shane’s innocence to those who do not know him, and hopefully find the help we need to prove it. We would really love and need Shane home with us. We simply ask that everyone read over all the material on this site carefully and prayerfully before you draw a conclusion. We have placed all of the public record case files on this site for all of you to look at to allow you to see the truth for yourselves. We are not trying to hide anything and believe the evidence will speak for itself. We are being as transparent as possible. The whole truth is on this site, and there for you to see. To Kayla Crum (should you find yourself looking at this website); we want you to know that we really love you and miss you every single day. There is not one day that our family does not think about you and how you are doing. We want all the best things in life for you and our joy lies in your happiness, because that is what love is. There will be things on this site that you will not be able to reconcile with what you believe you remember (namely the physical evidence), but we think it is time for you to see the truth for yourself. Not “our version” of the truth, rather the documented truth. So please look through the evidence files if for no other reason then to settle the matter in your own mind once and for all. 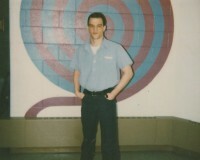 Shane has been in prison for over 20 years for a crime he not only did not commit, but one that never happened. Most people stop reading or listening once they see the charges against him. We simply ask you to read all the material for yourself and draw your own conclusions. It is important that you read beyond the charges, because the truth lies in the evidence files, and the fact there never has been any physical evidence. Sherlock Holmes once said, “remove the impossible, and whatever is left, no matter how improbable is the truth.” If people only read the court documents on this site, they would never really get to know Shane as we do. He would be seen as the lowest type of monster, and not because it is true, but simple because someone “said” he is. Please allow us to introduce Shane as we see him. You may find yourself intrigued by Shane’s story. My brother has been through a great deal in his life, and even before he was born. While my mother was pregnant with Shane, she fell down a flight of stairs causing the umbilical cord to wrap around his neck. He was born early and in 1969. Before he was a year old, he crawled onto a metal floor heat register causing a third degree burn on his stomach. He still bears that scar to this day. When Shane was 4 years old , he and our youngest brother (Shannon) went to a baby sitters house across the street from our grandma Vi’s house. Mom and dad went to work, while our brother Joe and I went to school. The baby sitter fell asleep with a cigarette in her hand, the house caught on fire. Grandma Vi was the one who called the fire department. Can you imagine how my grandma felt watching that fire, and knowing her two grandbabies were in there? Shane was the only one to survive that fire. He spent a long time in the hospital, and when he finally came home, I remember him having nightmares all the time. He now has burns on his face and arms because of that fire , in addition to the ones on his stomach. People looked at Shane with disgust and repulsion because he had so many scars. I would get into a lot of fights because of the cruel comments other kids would say to him. Shane would always try to pull me away from them or step between these kids and myself. He never wanted anyone else to go through the trauma he endures even to this day. The Shriners tried to help Shane, and they put him through several surgeries that left scabs on his face. Additional trauma closely related to the original cause. The surgeries helped, but Shane will always have scars for the rest of his life. A constant reminder of a nightmare he lived. Now in prison, serving two life sentences, for something he did not do. To meet him, you would not know he has gone through all of this. It does not show, I do not know how he endured all of this strife in his life, but he makes me believe I can endure all the speed bumps in my life. Especially , when he has had to climb the mountains in his. Shane’s life was not all turmoil. There were many happy times too. Once, while watching T.V., a neighbor came to the front door and asked if we were moving. I said, “no”, “why are you asking?” she said, “because there are clothes being thrown out the upstairs window”. I went upstairs and asked Shane and his brother what they were doing. They said, they were mad at their sister and were moving her out. Sherry, (Shane’ sister) was going to run away from home, the boys went with her so she would not get lost. They went up the street and turned right at the corner. They turned right at the next corner, and again at the next. When they showed up at the house they said they had to come home because they were not allowed to cross the street. One day I was on my hands and knees scrubbing the hardwood floors in the living room. I was hot, sweaty, dirty, and miserable. Shane was outside playing with his brother and sister. They were to use the side door to come in and out. Shane waited until the last second to use the bathroom. He came running into the house, through the front door and across the floor I was scrubbing. I yelled “SHANE CRUM”, he stopped, looked at me, and said, ”gee mom, you sure are beautiful.” I just looked at him, how can you get mad at that? All women have good jewelry and costume jewelry. A woman came to my door with one of my good rings. She said Shane had given it to her daughter. She knew it was a good ring so she gave it back to me. When I asked him why he had given my ring to the little girl , he said he liked her, and that’s what boys do when they like a girl. Once Shane came home crying because the other kids would not let him play ball because he could not catch. I told him I would go outside and teach him to catch. He had me put on one of his dads shirts, put my hair under a ball cap, and we had to go out back, before he allowed me to throw a ball to him. He said the other kids would make fun of him if they seen him playing with a girl. A lot of people say you get religious when you go to prison. Shane was religious before he was arrested. 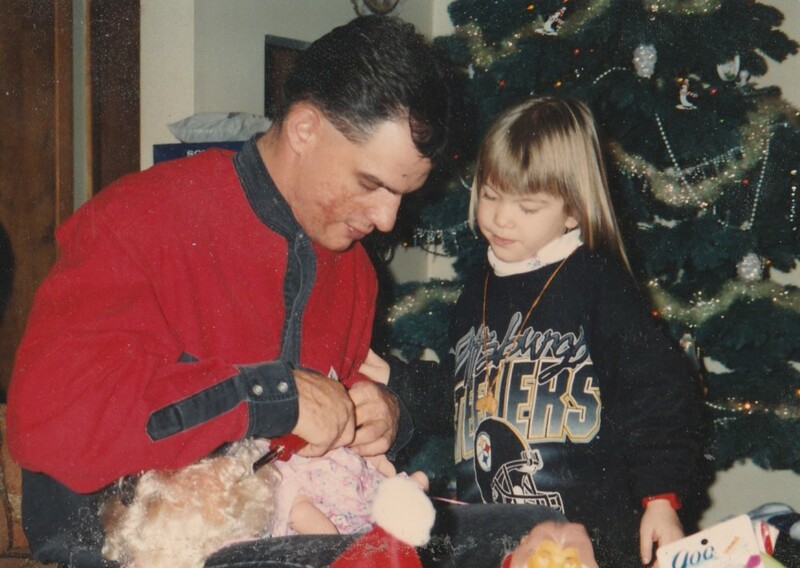 He took his daughter (Kayla) to church on Sundays and Wednesdays, whenever he had her. Pasture Thiel (who was a character witness for Shane) was the pasture at Perry Baptist Church. He stayed in touch with him and sent him bible studies. Shane is loving and forgiving, who else would go through what he has, and still believe things work out for the best? When I was young I didn’t pronounce my words correctly, the teachers would say spell the words the way you pronounce it. Needless to say I wasn’t very good in school. Shane is very smart. When he uses words I don’t understand, he would not only tell me what it means, but he would tell me the origin of the word. He has taught me a lot. As you can see, Shane had a varied and interesting life. In many ways, not much different then most others, a life not many others could have handled the way he has. If you took a moment to get to know him yourself, you would know for certain that he is a really good person, and could never do something like what they have claimed. There are so many aspects to Shane, and the man he is today. A smart, loving, and funny young man, with many other quality’s ,too many others to list here. Yet, you can find out anything you want to know about him by taking time to know him yourself. We need your help to prove Shane’s innocence and get him home where he belongs.